US manufacturing continues to be a bright spot in absolute terms and steady at higher levels than a year ago. On the whole, Europe is much improved compared to the previous year. The UK seems to be holding strong a high levels and the Eurozone countries seem to be, for the most part, much improved over last year with positive. Asia is an area of concern. 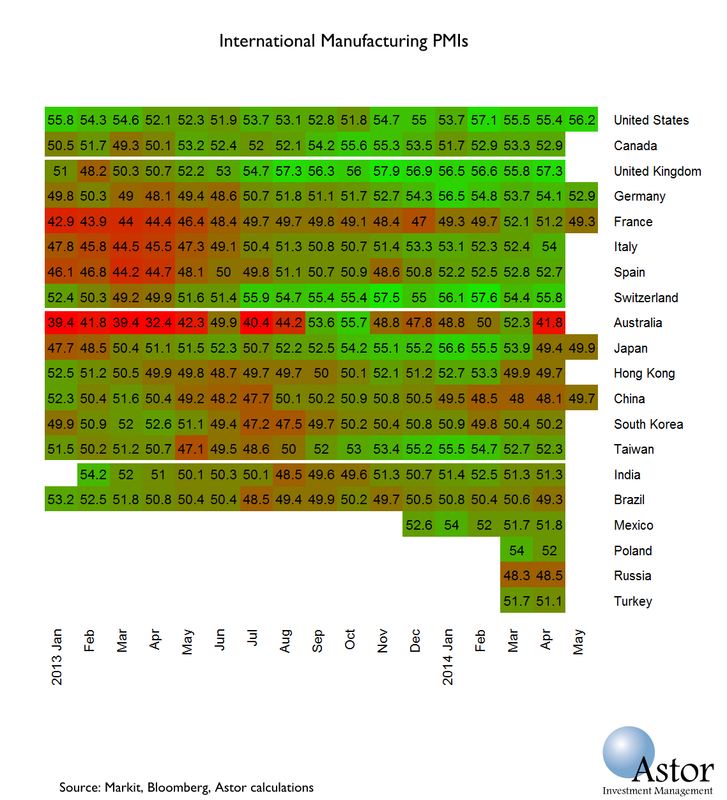 While China’s PMI is up slightly over the previous three months, it is still at a low level as are many of the countries in the region. Most of the rest of the region appears to be decelerating. Australia’s drop stands out, but we are guessing it will be partially reversed. The rest of the emerging world paints a picture of modest expansion. We will update if the picture changes with the release of the final numbers next week.